Chips are by far my favorite snack!!! Mine, too. Salty is so much better than sweet. I love Lays and the bbq ones dipped in sour cream are delish. I’m suprised it wasn’t some kind of pie day considering it was Pi day. Dipped in sour cream? I’ve never had that before, but it sure sounds good! Yeah….I didn’t think so either until I tried it. Oh!! What kind of sandwich is that with your Lay’s? 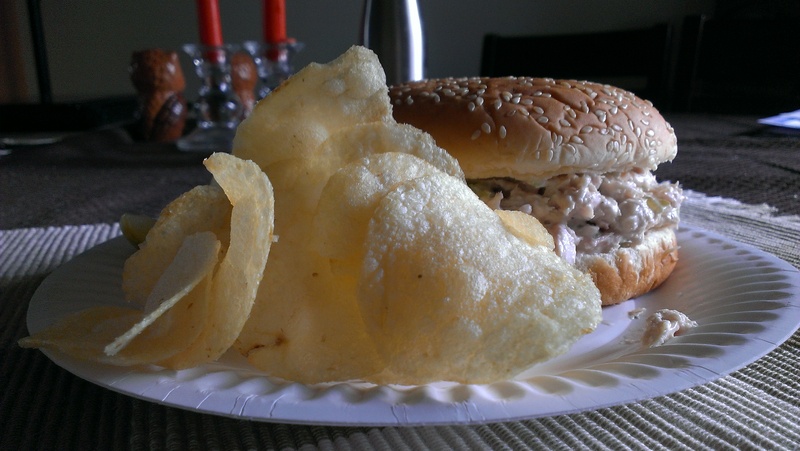 Tuna salad, my go-to sandwich. I agree, Lisa. Then again…we’ve already had a ton of pie holidays to celebrate! 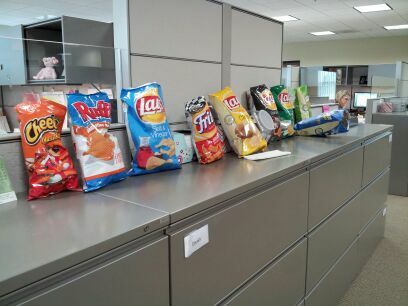 This is the day nobody touches potatoe chips? Good job, Stay off junk food!